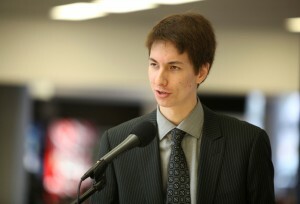 Aitchison showed a lot of improvement over the course of his first term as director. He had a slow start to the year—missing two of the first summer meetings—but was consistent in his attendance for the rest of the year. 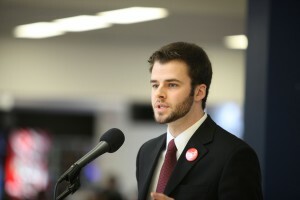 In the fall semester, though he appeared prepared for meetings, his contributions to discussion in the board room were few and often lacked substance; however, in board meetings over the last few months, Aitchison has been one of a small number of directors who regularly and meaningfully asks questions and offers opinions on items up for discussion. Going into the role of vice-chair next year, it is important that he capitalize on this momentum and take on more of a leadership role. Aitchison should be able to draw on his experiences from this year to help the young board of 2014-2015 through the transition. 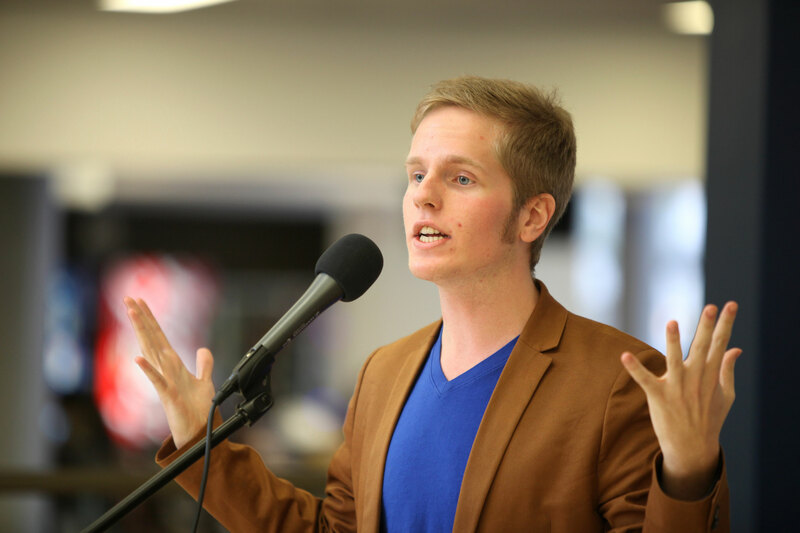 While in the past a director from the Brantford campus would typically be focused just on their campus, Basset has decided to break that mould this year and remained cognisant of the multi-campus approach that the Union is taking. 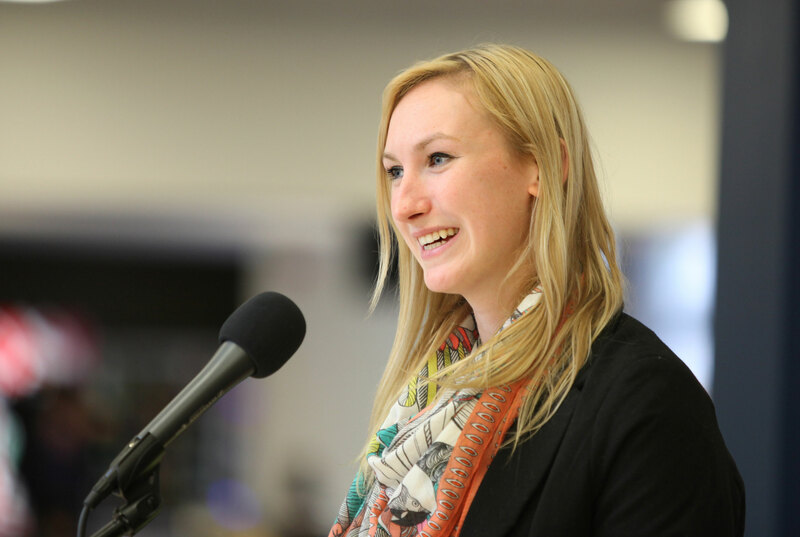 She attended almost all of the meetings on the Waterloo campus which exemplified her efforts to be fully multi-campus — as any director should. Furthermore, Basset maintained a comfortable demeanour at the board table and with her fellow directors by not shying away from speaking up on matters. 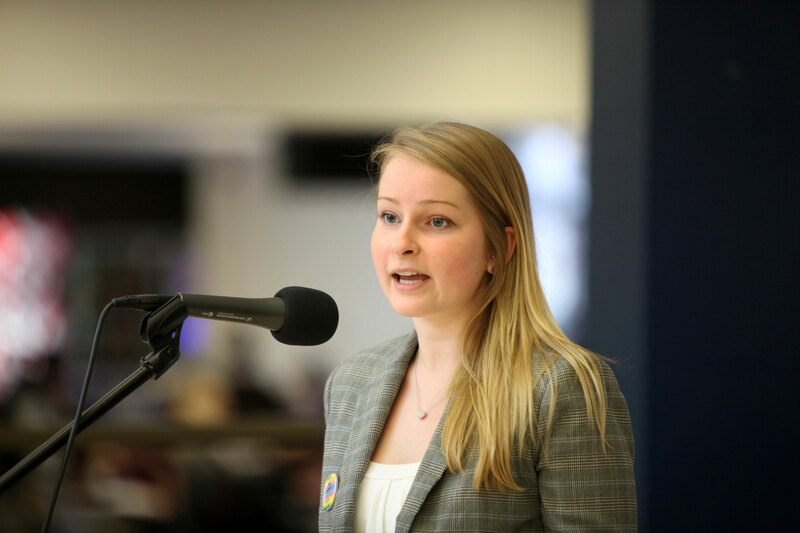 Although she has chosen to be part of a probably more impactful aspect of the Union next year as the next AVP: University Affairs, Basset’s involvement with the board can be seen as a model example not just for Brantford directors, but for any director on any campus. 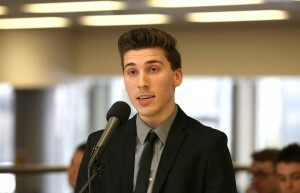 Casselman’s experience as a second-year director was beneficial to the board. He was a strong and confident presence at board meetings and was not afraid to voice his opinions, even in instances where they conflicted with those of other members of the board. In doing so, Casselman also demonstrated his preparedness for meetings. It should be noted, however, that Casselman’s attendance record was less than exemplary. While he did continue to attend meetings during his second-term co-op placement, commitments with the Laurier debating society resulted in him missing parts of meetings on multiple occasions throughout the year. In spite of this, Casselman was one of the stronger board members this year. 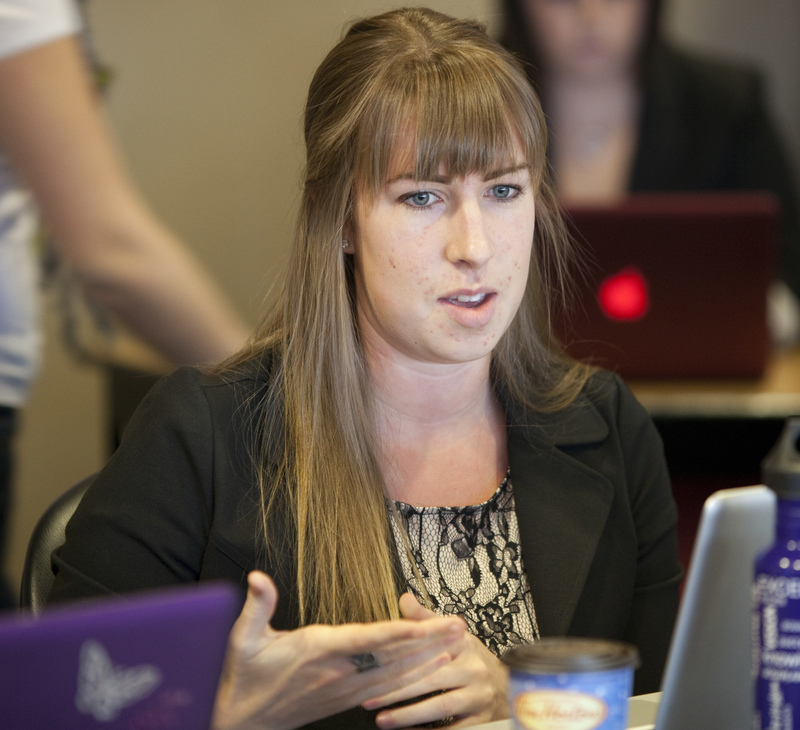 As a fourth-year student, Drimmie came into the role of director with background and knowledge about the Laurier student experience. Based on his performance at board meetings this term, Drimmie did not act as a strong presence in the board room. His contributions to discussions were rare and for the most part, unsubstantial. His platform did not contain many clear objectives, making it difficult to evaluate the success of his term on the basis of what he sought to accomplish. It should be noted, however, that Drimmie maintained a solid attendance record, only missing one meeting over the course of the year. *Disclaimer: After multiple requests, John Drimmie did not come in for an interview with The Cord. Although Edmondson seemed to attain a reasonable grasp of the role of a director and appeared to have potential, much of this remains untapped. He largely took a back seat to discussions and appeared comfortable with allowing more experienced or more vocal directors to express their opinions on items taken up by the board. Edmondson’s contributions to the committee he served on appeared to be received well by fellow directors. While he maintained relatively strong attendance and seemed to have no issues balancing director work with other commitments, Edmondson did not make a strong effort over the course of the year to make appearances on the Brantford campus. If he intends to be a strong representative for all students on the board of governors and senate next year, Edmondson will need to prepare to be more vocal and a stronger contributor to discussion. While Fleming’s two prior years of experience were undoubtedly an asset to the board, his overly-relaxed and sometimes abrasive attitude proved disruptive at times to effective board discussion. He appeared to be prepared for board meetings and contributed to discussions, but undermined his effectiveness with occasional inappropriate comments and a general lack of professionalism. As the director on the board with the most experience, Fleming should have acted as a stronger role model for other new directors during board meetings and made a better attempt to create an inclusive atmosphere. Seemingly, his work outside of the meetings was more effective, as he appeared to have a strong grasp of the issues at hand when providing committee updates and the financial situation of the Union. *Disclaimer: After multiple requests, Scott Fleming did not come in for an interview with The Cord. Kates was one of the stronger directors on this year’s board, demonstrating a thorough understanding of the board’s role through his frequent and informed contributions to discussion at meetings. His questions raised during meetings showed engagement and consistent consideration for the needs of students. 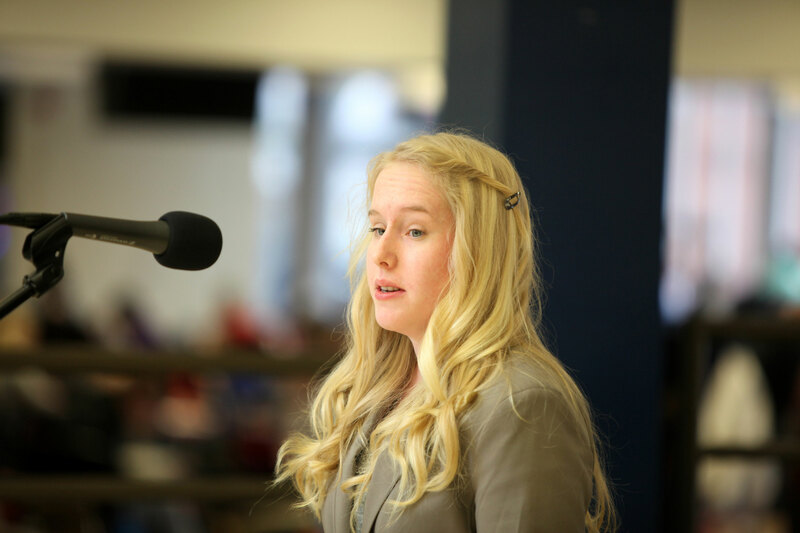 Kates showed initiative by standing for three committees this year and chairing one. In particular, his work with the Ownership Linkage Committee demonstrated his interest in engaging with students. Kates had a near-perfect attendance record and was one of few directors to actually attend all meetings on the Brantford campus, in addition to participating in Brantford Hawk Talks and Food Bank events. Ledwidge demonstrated a strong commitment to the board this year by balancing multiple on-campus activities with regular board attendance, missing no meetings over the course of the year. However, in spite of being an active member of multiple on-campus groups, Ledwidge’s ability to bring these voices into the boardroom were limited, as she seldom contributed to discussion and was one of the quietest members of the board. As a result, it was difficult to evaluate her preparedness for meetings. It should be noted that while Ledwidge did not stand on any board committees, this was not due to lack of effort. In spite of multiple attempts, she was not elected to any committees, which hindered her ability to participate. Her involvement with events, such as Hawk Talks, outside of the board room helped to mitigate this. 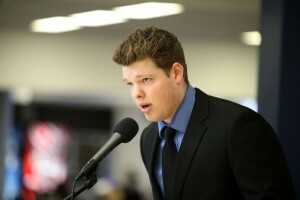 McLean was one of the strongest directors of the board this year. Not only did he have an exemplary attendance record, attending all board meetings in person with the exception of one, he was one of the most vocal directors on the board. McLean demonstrated a thorough understanding of and commitment to the director position by asking insightful questions and offering commentary on agenda topics. 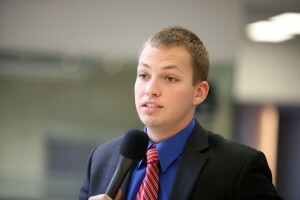 As one of only two returning directors and next year’s chair of the board, McLean’s experience, dedication and organizational skills will serve him well, though he will need to take additional efforts to engage quieter members of the board, in addition to those who are already involved at a high level. Qu’s inexperience as a first year director was evident in her lack of participation in discussion in the board room. While she maintained a strong attendance record, it was difficult to determine the depth of her engagement due to the fact that she infrequently spoke at board meetings. Citing other commitments, Qu also did not work on any of the committees, which could have provided an alternative avenue for her to contribute. In her actions as vice-chair of the board, Stevenson demonstrated her commitment to the position and the aims of the board. She acted as a mentor to less experienced directors and worked to use her past experience to their benefit. Her involvement with three committees indicates her desire to contribute to the effectiveness of the board. However, with her experience, Stevenson could have had a more critical voice at meetings. While her contributions to discussion were not infrequent, she could have been more engaged and vocal at meetings. Overall, Stevenson was a strong director on this year’s board. Wilson wasn’t quite able to capitalize on the potential that he had when he was first elected to the board. His presence during the board meetings wasn’t as evident as some of the other directors and he didn’t engage in much discussion. It was clear that Wilson was prepared and organized as a director, however, that level of preparation was not shown through board discussion. 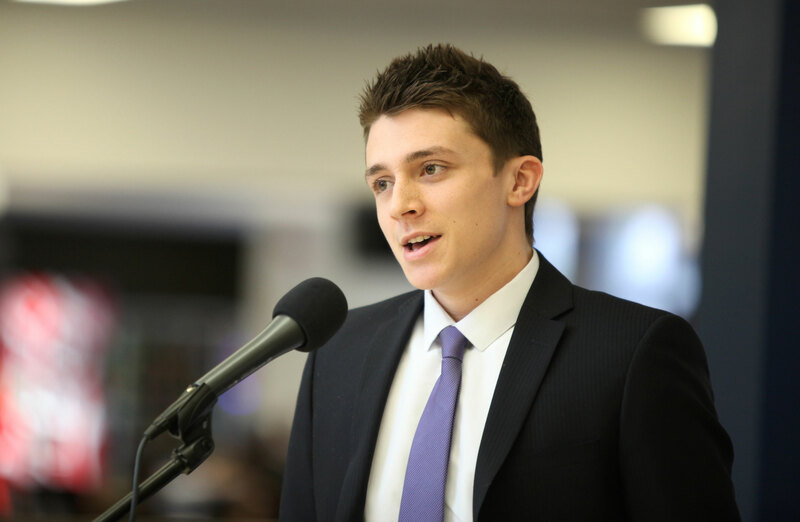 But Wilson’s involvement and contribution with the Student Life Levy committee demonstrated some of the care he had for the role of director. 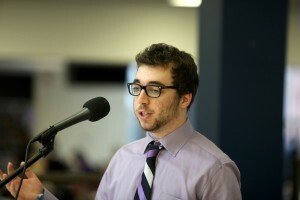 (File photo by Nick Lachance). 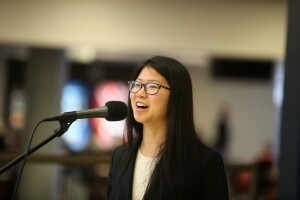 As a commuter, student on the Brantford campus and concurrent education student, Yole was a good representative for the many perspectives present on the Brantford campus. However, her engagement with the board was lacking in places, revealing a need for a more dedicated director. One of two Brantford directors on the board, Yole limited her ability to act as a voice for students on her campus by largely teleconferencing in to meetings held in Waterloo and by infrequently voicing her opinions on issues. Her attendance overall was good, but not exemplary. As well, she was involved in one committee during her term. Overall, Yole could have been more involved with the board. While Yu showed potential at the beginning of the term with his interest in making a difference on campus, he was overall an ineffective director. He was involved in both the ownership linkage committee and the policy review committee, demonstrating his desire to be engaged with the board. 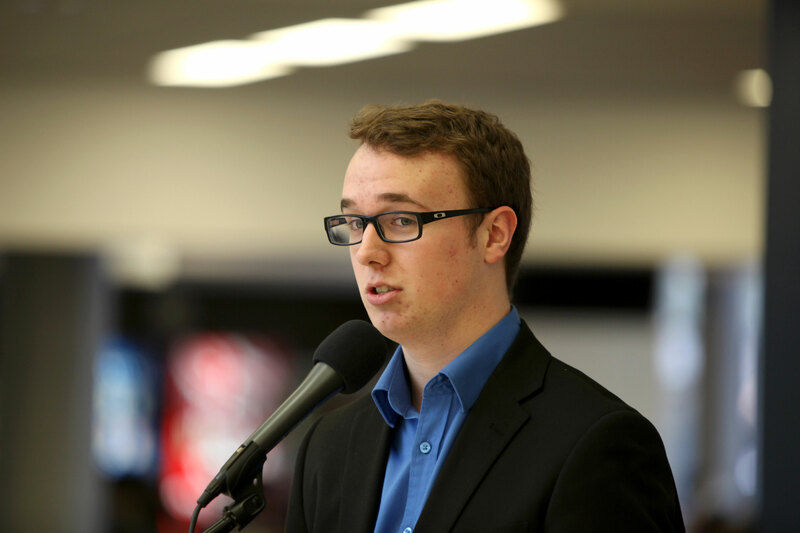 His attendance for the first part of his term was also commendable; this included his presence at meetings on the Brantford campus. However, he has been one of the less vocal directors on the board and his contributions to discussion have lacked a critical view. Nearing the end of the winter term his engagement has begun to lapse further. Yu would have benefitted from working to gain a better understanding of board policy and using this to develop a more critical view of topics being discussed at meetings.